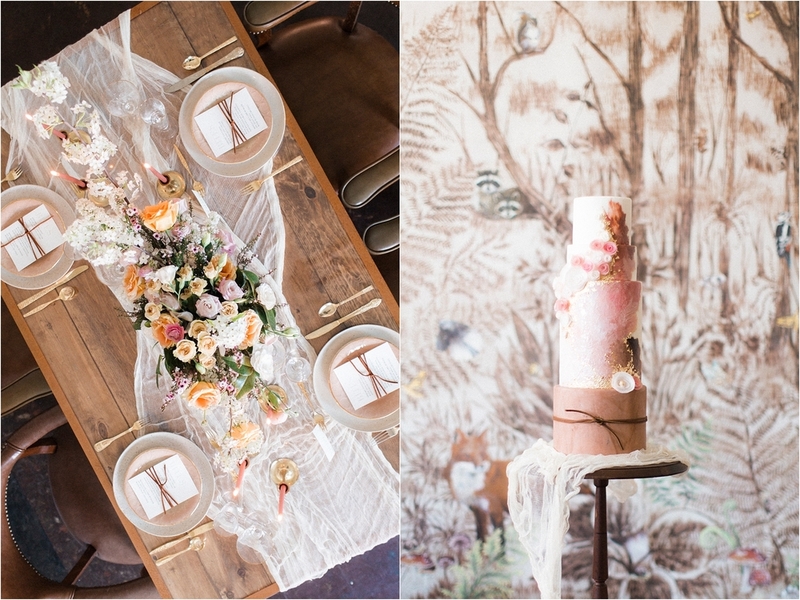 I am so proud to have been a part of this gorgeous shoot (recently featured on 100 Layer Cake!) 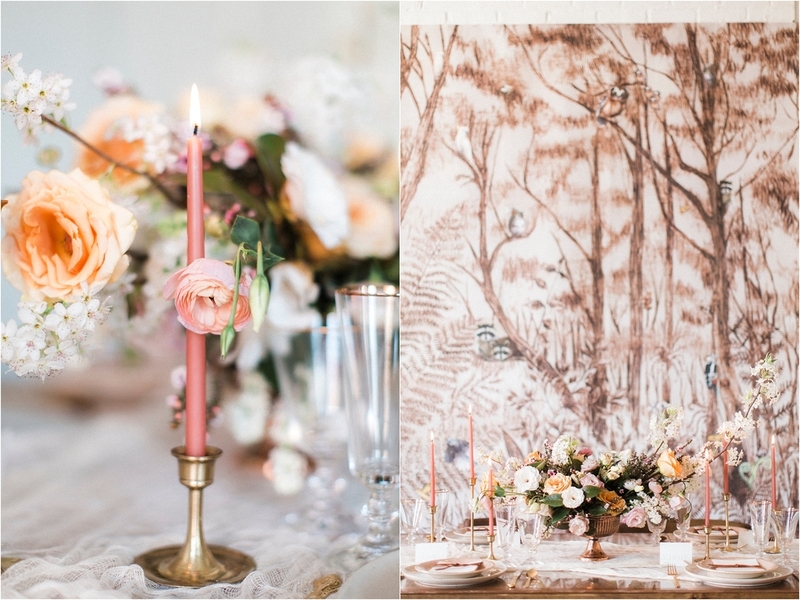 by the talented ladies of Glint Events - their inspiration behind this shoot stemmed from a desire to share their talents at creating a design and aesthetic that can marry unlikely elements. The delicate touches found in the colors and soft cloths paired with the rough texture of woods and the strength of leather come together in a perfect juxtaposition. 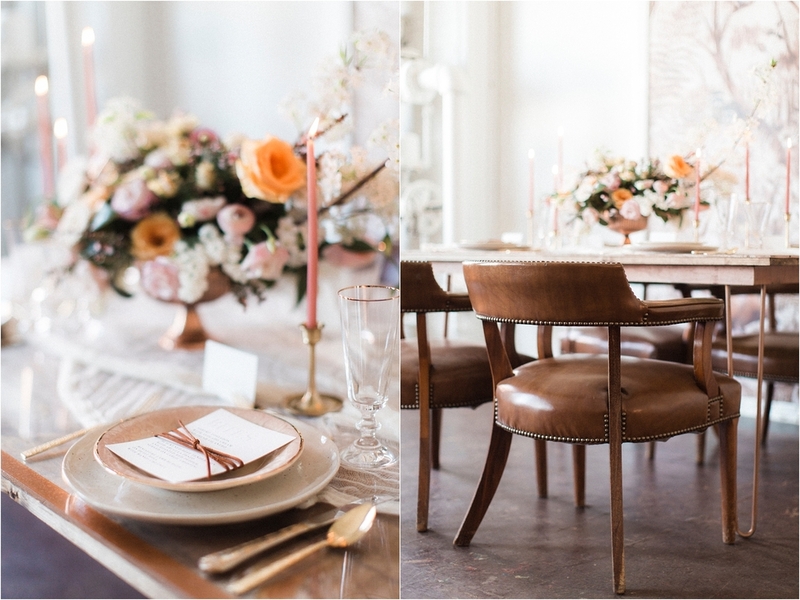 This is incredibly inspiring to me and I know it will inspire couples' planning their weddings and celebrations to find a way to incorporate the style and taste of both people - no matter how significantly they may seem to clash with the other - it can be done - and beautifully at that. Thank you so much to Emily, Devin, and Kate for trusting me to capture this flawlessly executed vision and to the rest of the amazing vendors who came together to bring this shoot to life. Here's to many more in the years to come!! !